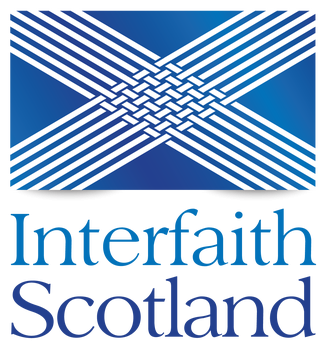 At Interfaith Scotland we have extensive experience of providing engaging and interactive training to a wide range of audiences. Our courses consistently receive outstanding feedback and are excellent value for money. We provide public training courses from our Glasgow office and also deliver training ‘in-house’ to delegates from the same organisation. Please contact Jamie Spurway on 0141 558 0778 or jamie@interfaithscotland.org with any queries. In this half-day course, delegates will improve their confidence in engaging with the religion and belief of those they work with. We learn about the core beliefs and cultural practices of the main faiths, and the individual needs that may arise from a person’s faith or belief identity. The course is designed for those who work directly with service users, but is also relevant to HR staff, equality officers and managers who may be working with staff from diverse religion or belief backgrounds. Introduction to the topic. Do you choose your religion? Religion and belief as a protected characteristic. How does it compare to race, age, disability etc? Chronology of religions quiz and discussion. An interactive group exercise which invariably prompts a range of questions and helps delegates identify gaps in their own knowledge. Faith demographics in Scotland. How many people identify as being from the main faith groups and how has this changed in recent years? Diversity takes a wide variety of visible and invisible forms – many more than those protected by law (race, religion and belief, disability etc). A team composed of people from many backgrounds and identities, with varied personalities, skills and perspectives, has many advantages. But such differences can also be a source of tension, misunderstanding and even hostility. In this interactive workshop, we consider three models that help guide our thinking – as we seek to tackle discrimination, communicate across difference and understand the relationship between our identities, our experiences and our worldview. They provide touchstones to aid empathy, give valuable insight on our interactions and, taken together, can greatly improve equality & inclusion. Through discussion of different case studies, we consider: why some people ignore or deny the discrimination that others experience; how to respond to misunderstandings or offence; and the impact of our inner narratives on our interactions. Which aspects of diversity are protected by law and why? Although religion and belief are our focus at Interfaith Scotland, during this course our discussions will cover many aspects of diversity, including race, sexuality, gender etc. Our trainer has broad experience to bring to the course. If you have a group of delegates, the above half-day training courses can also be delivered at your venue. Our recommendation is no more than 15 delegates per course but we can manage larger groups if necessary. We can deliver training anywhere in Scotland. The training is most relevant for those who work regularly with groups of young people, in a professional or voluntary capacity. This includes youth workers, youth leaders in faith communities, teachers and those who work with young offenders. Please contact our religious equality trainer Jamie Spurway to discuss staff training.